The Optimumcut range of software products produces hundreds of thousands of optimized cutting lists for our customers each year, obtaining maximum yields with minimum waste. Optimumcut cutting lists are used to cut linear materials using many different types and brands of saws and stop / pusher systems from around the world in both metric and imperial units. From extensive research over the past 12 years we have found our customers adopt many varied strategies for cutting their linear materials in their factories. This is based upon a combination of factors, labour available, the time taken to cut the materials within given time constraints for the specific project being cut, materials logisitics and the companies ability to invest in new technology. 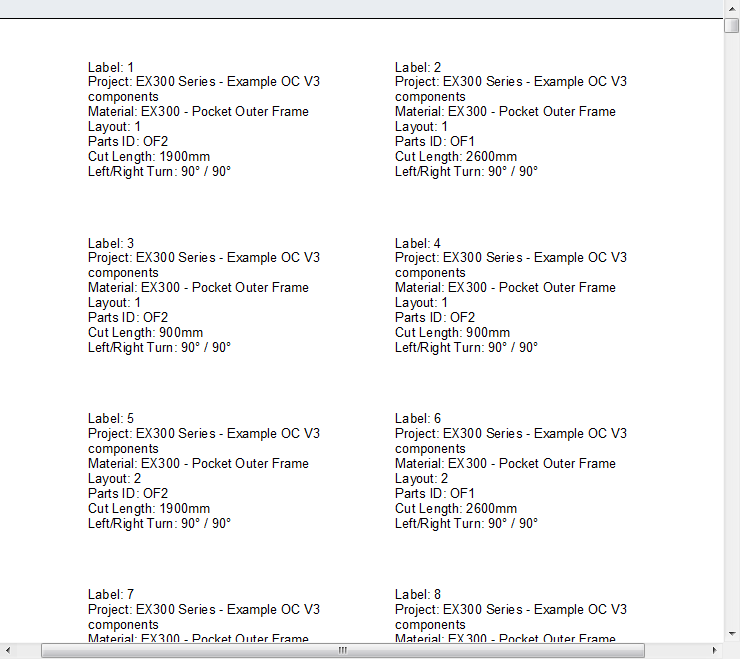 One customer may choose to print out an Optimumcut optimized cutting list including Optimumcut optimized reference labels, for sticking on each individual cut material length in order to cross reference the cut length with the optimized cutting list and a working assembly drawing. (Note: aluminum extrusions normally have a Low Tack Tape applied prior to the application of any reference labels) They then manually load their linear extrusion materials onto the saw bed and manually cut their materials with a Mitre Saw or Double Head Mitre Saw. Another may choose to use an Automatic Stop / Pusher System / Linear Positioning System to load their linear materials onto the saw bed and cut their materials with a manually operated Mitre Saw or Double Head Mitre Saw, thus taking advantage of reducing the time taken to load the linear material onto the saw bed, set at the correct cut length ready for cutting. At the other end of the spectrum are the customers who have invested heavily in Automatic CNC Double Head Mitre Saws, these customers tend to print out an Optimumcut optimized cutting list (for quality checking purposes only) also print out optimized reference labels and send an Optimumcut optimized CNC File direct to the CNC Double head Mitre Saw, which not only loads the material onto the saw bed, it will cut the material automatically following the optimized cutting list which was previously loaded. Listed below are the most commonly encountered saw types used for cutting linear materials. 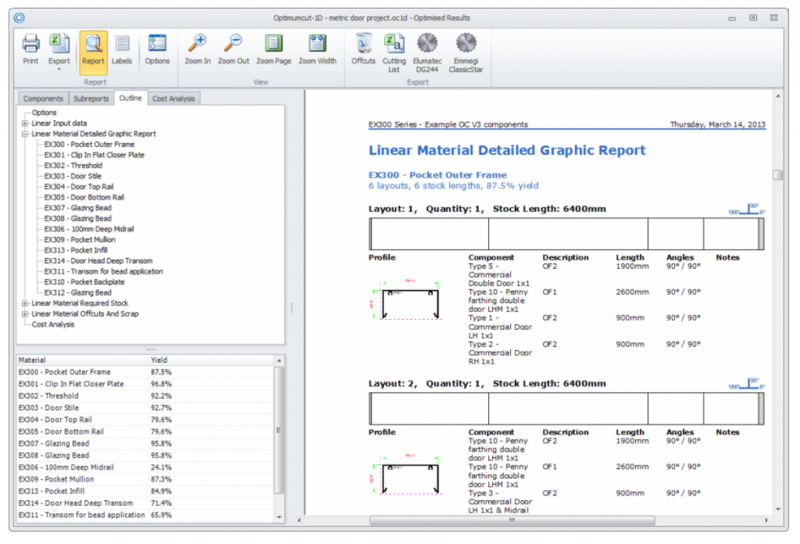 It is also vitally important our customers understand the various Saw Cutting Terminology in order to take full advantage of the detailed graphic cutting lists and CNC Saw links available from Optimumcut Software. Our next Post will be about Saw Cutting Terminology.